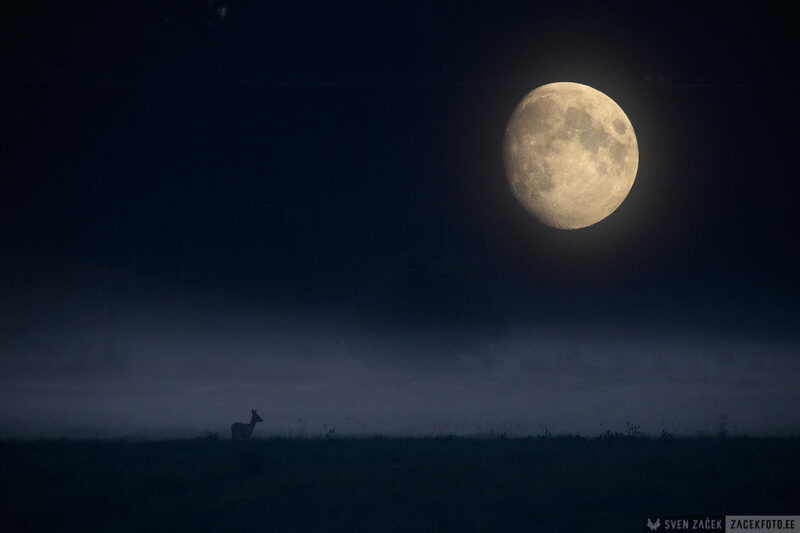 Young Roe Deer buck listening to the sounds of its rutting mates on a foggy moonlit night. His own participation will have to be on hold for a year or two. Double exposure.